The corpse reviver no. 2 is a popular classic cocktail. It is one of the greats from the days when people really loved their gin cocktails and a true testament to the mixability of the botanical-filled spirit. The recipe is quite simple: gin, wine, orange and absinthe liqueurs, and lemon juice. The culmination of flavors is simply fascinating and it's a drink everyone should experience at least once in their lifetime. As is the case with all corpse reviver cocktails, this drink is said to have been good for reviving those souls who may have had one too many the previous night. They are meant to snap you back into reality and it's among the "hair of the dog" drinks for curing hangovers. Also, note the equal measurements...the easier the better for your suffering! Rinse a chilled cocktail glass with absinthe and toss the excess. Pour the remaining ingredients into a cocktail shaker filled with ice. Many classic cocktail recipes originally called for Kina Lillet. You may know it best as the "vermouth" from James Bond's famous Vesper martini, which he created at the gambling tables in "Casino Royale." It is part of that famous "shaken, not stirred" line. Though not vermouth, Lillet is an aromatized wine. Kina Lillet was the aperitif wine to use at the beginning of the 20th Century. It was replaced in the 1980s with Lillet Blanc, which reduced the quinine (the key ingredient in tonic water) to suit the modern drinker's taste. Bartenders and cocktail enthusiasts have been enjoying Lillet Blanc in their classic drinks, but something was missing. Cocchi Americano's recipe includes more quinine and it has that wonderful bitter tone that drinkers were seeking. The basic flavor is the same as the new Lillet, it simply has more punch. In many cocktails, it can take the drink from great to fabulous. The problem is that Cocchi Americano has been difficult to find. Its recent rise to stardom is making the task easier and it's almost as readily available as Lillet Blanc. You may, however, have to visit a specialty liquor store to find either. If you cannot find those two, a quality dry vermouth makes a good substitute. Which is better is a matter of opinion. In a head-to-head tasting in this recipe, you will find drinkers who prefer one over the other. A consensus would probably lean toward Cocchi. The story of the corpse reviver is that of a drink "To be taken before 11 a.m., or whenever steam and energy are needed," according to Harry Craddock in the 1930 "The Savoy Cocktail Book." It goes beyond just a single drink and was instead an entire class of pre-Prohibition drinks. These were, quite appropriately, meant to "raise the dead" or (to be more realistic) the hungover drunk who stumbled into the bar early in the morning. There are many classic corpse reviver recipes, though only "no. 1" and "no. 2" survived the test of time. Today, the corpse reviver no. 2 is the most popular of the two. That may be due to the fact that modern drinkers tend to prefer gin over brandy, though many will tell you that no. 2 has a more interesting flavor profile. Corpse Reviver No. 1: Stir 1 1/2 ounces brandy, 3/4 ounce calvados or other apple brandy, and 3/4 ounce sweet vermouth with ice. Strain into a chilled cocktail glass. Corpse Reviver No. 3: Shake 1 ounce each brandy, curacao, and maraschino liqueur with ice and strain into a chilled cocktail glass. Or, shake 1 each ounce brandy, Campari, and triple sec with 1/2 ounce lemon juice with ice. Corpse Reviver No. 4 (Savoy Corpse Reviver): Shake 1 ounce each brandy, Fernet Branca, and white creme de menthe with ice and strain into a cocktail glass. How Strong Are the Corpse Revivers? The corpse revivers are supposed to be strong, but just how strong are they? They're certainly not weak drinks and they do stand up to their reputations. 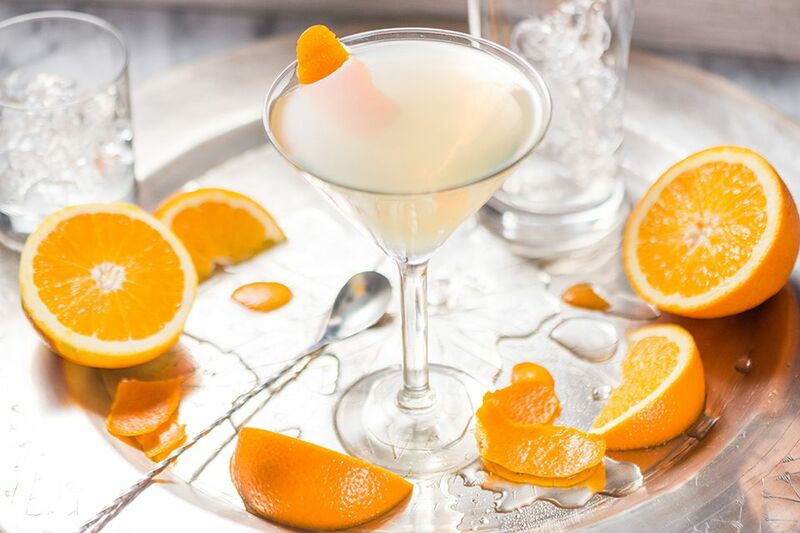 Each of these recipes averages out to an alcohol content of around 30 percent alcohol by volume (60 proof), which is about the same as the average martini.